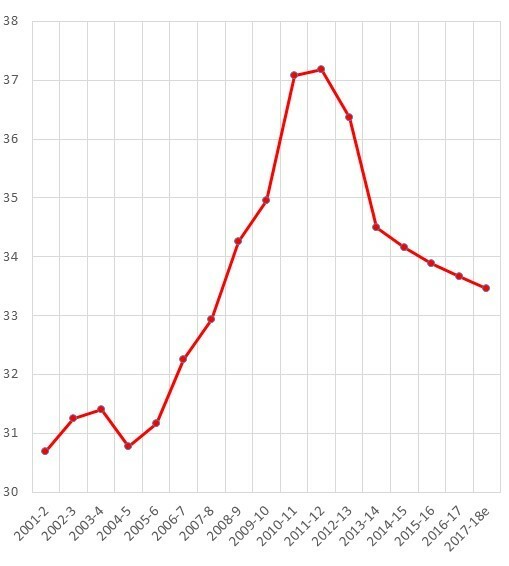 Public transport service provision per capita has been declining since 2011-12 in Melbourne. Data sources: Public Transport Victoria & Victorian Department of Transport Annual Reports, Victorian Parliament Budget Papers. 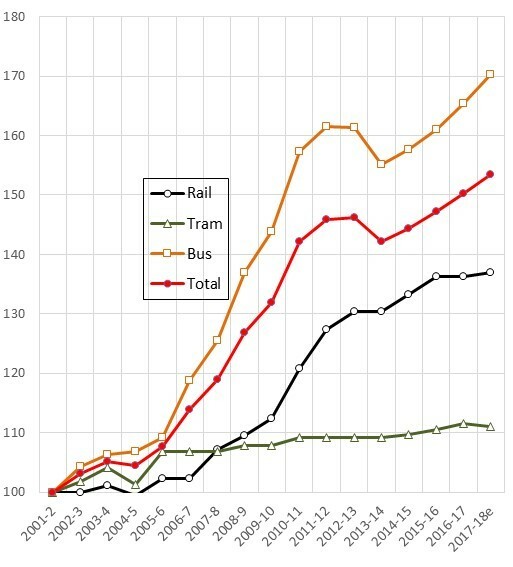 Data sources: Public Transport Victoria & Victorian Department of Transport Annual Reports, Victorian Parliament Budget Papers, Australian Bureau of Statistics. Monitoring public transport service levels per capita over time provides a useful way of determining whether public transport provision is keeping pace with population growth. Currie, G. (2017) Melbourne Buses, Performance, Progress and Futures, presented to Eastern Transport Coalition, October Meeting, City of Whitehorse, October 2017.